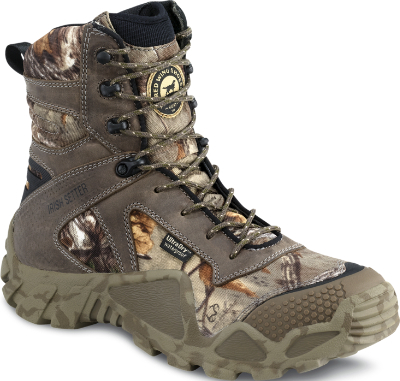 VAPRTREK HUNTING BOOTS – THE SOUL OF A HUNTING BOOT. THE SOLE OF AN ATHLETIC SHOE. RED WING, MN (December 2013) – Irish Setter ®VaprTrek hunting boots with RPM technology are extremely lightweight and hunt-ready.New VaprTrek boots are 40% lighter than traditional Irish Setter big game hunting boots without sacrificing support or stability. RPM Technology, a breakthrough composite material, significantly reduces the weight of the boot, providing extreme comfort without the extra weight.The RPM sole features a bi-directional lug pattern for increased traction and balance during heel strike and toe off. 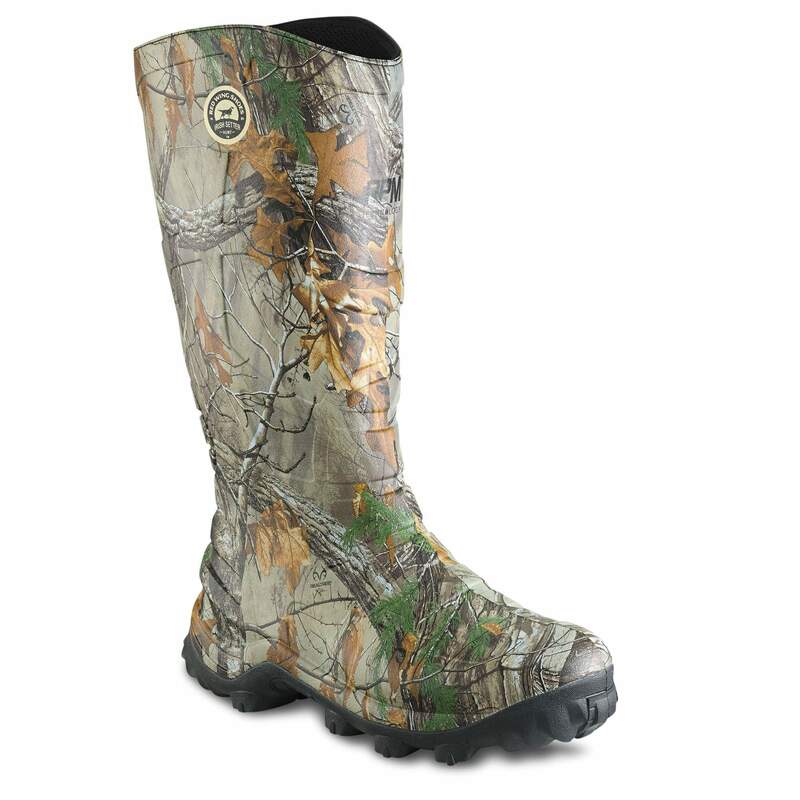 The wrap-around instep provides protection and aids in gripping tree stand rungs or ATV foot pegs. Armatec™ heel and toe protection guards against ground hazards. Underfoot comfort is enhanced with an anatomically-correct polyurethane and high-rebound foam footbed with a ScentBan™ odor inhibiting top cover. And a ScentBan lining delivers scent control through a process that kills odor-causing bacteria. Irish Setter VaprTrek hunting boots incorporate UltraDry™ waterproofing so feet stay dry and boots stay breathable. A memory foam collar forms to fit the ankle for comfortable stability in the boot shaft. The Cushin™ Comfort Tongue offers long-lasting comfort in the shin area. A speed lacing system with one-tug tightening provides fast, snug lacing. New styles (indicated by **) will be available at leading outdoor retailers in July 2014. Style #2864 is also available in sizes 4, 5, 6, and 7 in D (medium) width. Based in Red Wing, MN, Irish Setter is a division of Red Wing Shoe Company that produces a full line of performance hunting boots and rugged outdoor casual footwear. Irish Setter continues to use leading technologies and the finest materials to offer customers the highest quality outdoor footwear. For more information about Irish Setter’s heritage, products and retailers, visit http://www.irishsetterboots.com. RED WING, MN (December 2013) — New for Fall 2014, Irish Setter Rutmaster RPM knee boots are 50% lighter than traditional Irish Setter rubber boots. Their seamless design makes them waterproof and durable. RPM Technology is a breakthrough composite material that significantly reduces the weight of the boot for extreme comfort and added durability. The one-piece upper and sole also incorporates RPM material under foot for cushioning. Rutmaster RPM boots feature Irish Setter’s proven ExoFlex™ Performance Fit System for improved fit and easy on/off convenience. An Airmesh lining wicks moisture and allows air flow, while ScentBan™ eliminates foot and other odors. The Mud Claw RPM sole’s tread design offers an aggressive lug pattern for superb stability and traction, facilitating the release of mud and dirt. The original Rutmaster line became popular with hunters because of its revolutionary secure, comfortable fit provided by the patent-pending ExoFlex™ Performance Fit System. The ExoFlex™ panel in the back of the boot shaft expands to accommodate the back of the foot for easy entry. Then the panel contracts for a lock-tight, high-performance fit in an easy on/off waterproof, scentproof boot. All Irish Setter Rutmaster 17” knee boots feature a slim, comfortable profile. Rutmaster RPM boots are available in whole sizes from Men’s 8-14. New Rutmaster RPM boots will be available in July 2014 at leading outdoor retailers. Visit www.irishsetterboots.com for the retailer nearest you. 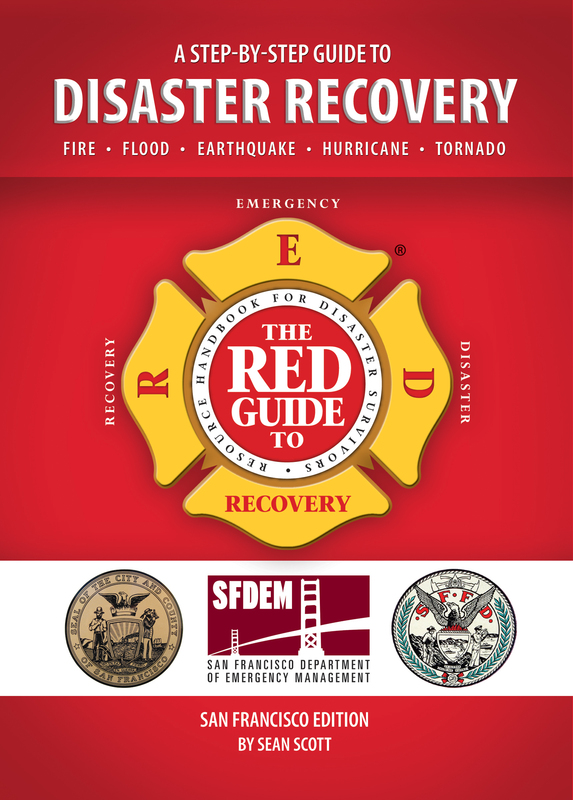 SAN DIEGO, CA (January 2014) — The Red Guide to Recovery – Resource Handbook for Disaster Survivors fills a previously unmet need and guides individuals and families through the disaster recovery process.